Utter mayhem at Cannes moments ago ... gun shots rang out in the middle of an interview with Christoph Waltz, and all hell broke loose. 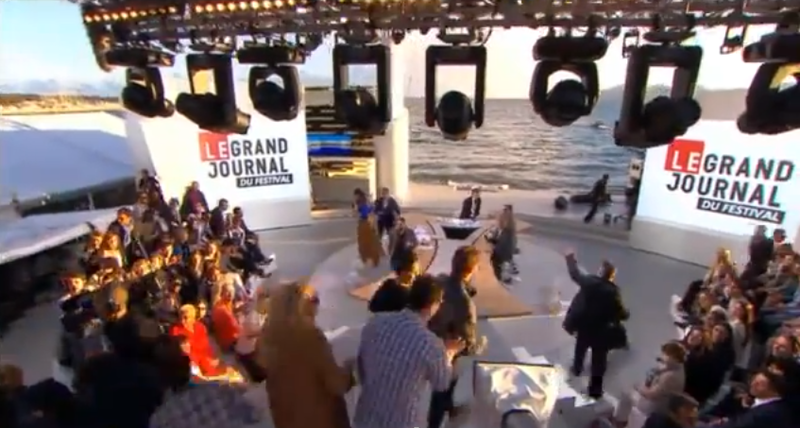 Waltz was on the set of a French news program called Le Grand Journal when the shots were fired, and security whisked him off stage. The rest of the audience rushed the set in panic. You can't really hear the shots in the video ... but witnesses are saying they came from a man with a gun. There are reports the shots fired were blanks. The man has since been apprehended by police. No one was injured. It's been a crazy day at Cannes -- last night, a jewelry company was robbed while hosting a fancy ball at the film festival ... thieves reportedly stole $1 million worth of jewelry.